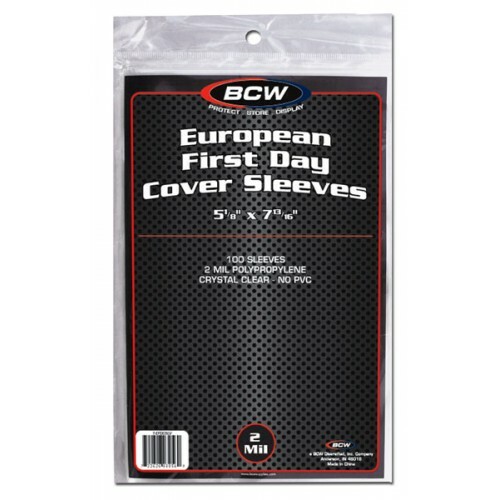 Case of 5000 BCW European First Day Cover Sleeves. Packaged as 50 packs of 100 sleeves per pack. BCW European First Day Cover Sleeve are an acid free, archival quality product made of crystal clear polypropylene and are used to protect, store and display your First Day Covers. Do you have any questions about Case of 5000 BCW European First Day Cover Soft 2Mil Poly Sleeves?